More images making the rounds. 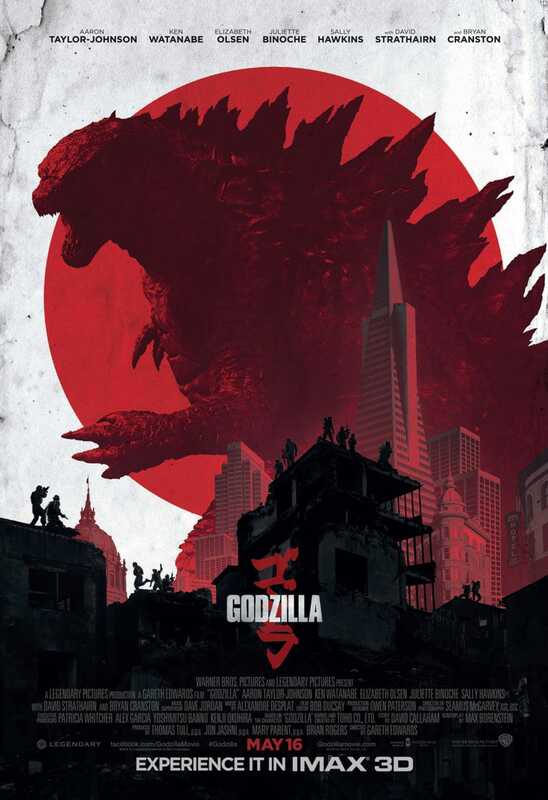 This one's the IMAX poster for Godzilla 2014. I got one of these for seeing Iron Man 3, and I'd love to get out and add this one to my collection. Here's another one of those size charts. These can be pretty cool, and I thought this one rated pretty highly in comparison to some of the others I've seen. Bonus points for making the '98 Godzilla look pretty tough. I'm also assuming the Kraken at the end is from one of the Titans reboots, as I haven't seen either. Good time to be a kaiju fan.